We hold years of experience in offering a qualitative range of Fly Ash Brick Making Machine to our esteemed clients. 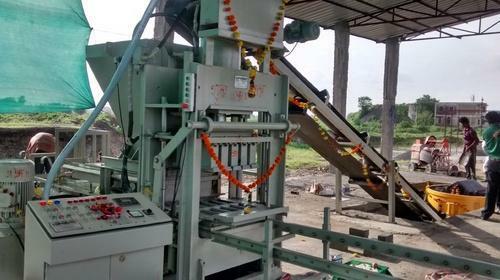 The offered range of machines is manufactured by our expert professionals using premium quality fly ash, lime sludge, iron oxide and quarry waste, procured from the certified vendors of the market. These brick making machines are precisely-engineered in adherence with the industry set guidelines & standards. Established in the year 2006, we, “Suprabha Hydraulics & Pneumatics Systems”, are one of the leading manufacturers and suppliers of Industrial Machine, Assembly Solution, Hydraulic Cylinder, Testing Solution, Mining Solution, Construction Machine and Hydraulic Power Pack. Our extensive range of products includes Fly Ash Brick Making Machine, Hydraulic Press Machine, Hydraulic Briquetting Machine, Pick & Place System and Customized Assembly Fixture. In addition to this, we are offering a qualitative range of Pressure Testing, Displacement Testing, Displacement Testing, Its Data Collection Analysis, Data Recording and Report Generation. Providing Mining Solutions is our honourable patrons. Offered range of products comprises Loading Station Automation for Underground Mine, Weighing Solution for Hopper, Conveyor and Moving Chute and many more. Our expert professionals manufacture these products using advanced technology and superior grade material & components. We have manufactured the entire range of offered products keeping international standards & norms in mind. The offered extensive range of products is highly appreciated by our clients for their premium quality, low maintenance, energy efficiency, durability and longer service life. These products are widely used in the various industries such as automotive, oil & gas and petrochemical.We are manufacturers of hydraulics cylinder. Our manufacturing unit has highly advance technical machines. We aim at providing best quality of service for our products.